to the most cost-effective delivery channels. 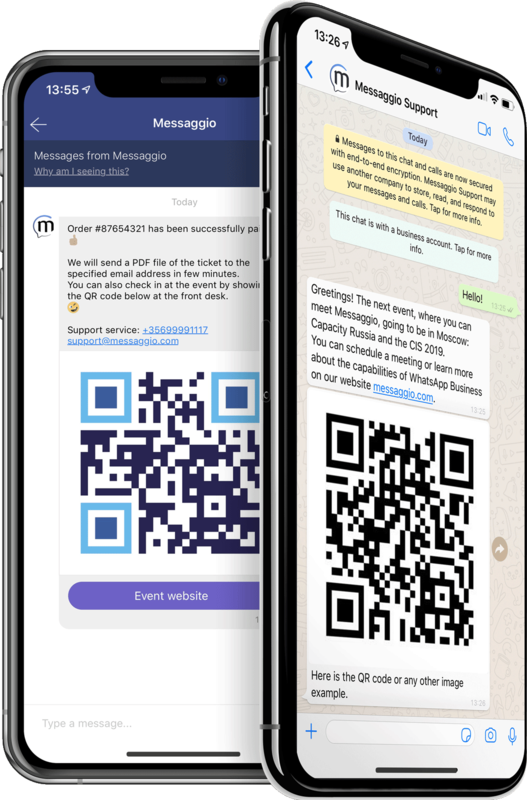 Promotions, customer care, support and consumer notifications on instant messengers. The best way to upsale brand’s services and products by using multichannel messaging. Receive customer feedback promptly, giving him the opportunity to response on your message in casual way. To communicate with the modern audience, use modern channels: multichannel message routing to instant messengers and social networks with the fallback to SMS option. Take advantage of wide range of mobile marketing tools in the business messaging. Business messaging to Viber users by phone number from a branded verified Viber Sender ID. Sending multimedia content (documents, videos, images and geolocations) using a verified business account via api. Messages to VK.com and Odnoklassniki users on behalf of groups and communities of Business in a social network using a phone number. Ideal solution for chat-bots, feedback and customer care services. Native support on billions of android devices. Direct connections for sending SMS, 2WAY and DCB allow you to optimize the cost of MO & MT messages and significantly improve the reliability of the service provided. We invite A2P aggregators and DCB payment systems interested in connecting Zero-hop and 1-hop channels to cooperation. Direct reliable connections for processing priority SMS traffic have always been important. Working with global brands requires quality support for message delivery channels. We will be glad to mutually beneficial exchange of Zero-Hop connections and to provide our facilities with a platform for accessing local mobile operators directly. Looking for multichannel messaging solution?